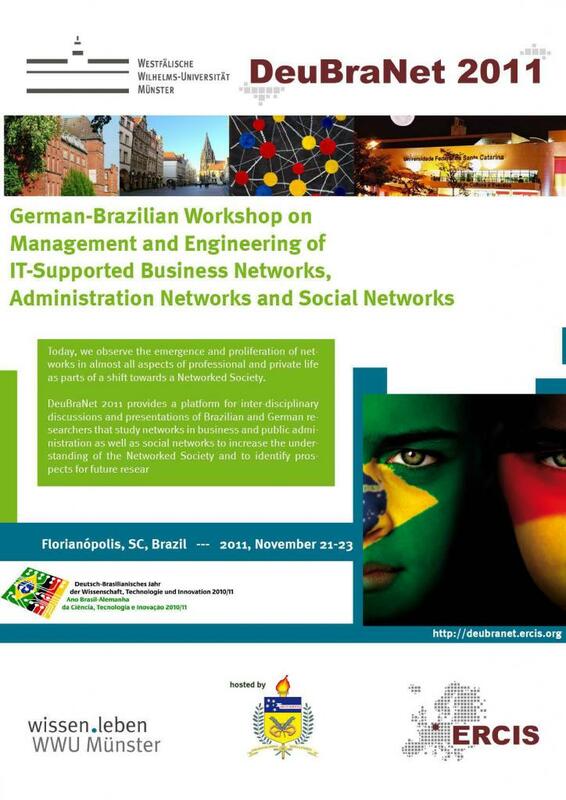 The DeuBraNet 2011 workshop provided a platform for inter-disciplinary discussions and presentations of Brazilian and German researchers that study networks in business and public administration as well as social networks to mere the understanding of the Networked Society and to identify prospects for future research. Dr. Armin Stein, Managing Director of the European Research Center for Information systems (ERCIS), presented the NSS project as an approach for analyzing the interplay between service networks and IT as well as advancing the three flourishing areas of Service Science: Professionalization, Digitalization, and Sustainability. Particularly, the NSS concepts for establishing and broadening long-term research structures of German researchers with the Asia-Pacific region stimulated a discussion on how to further advance the cooperation of German and Brazilian researchers. 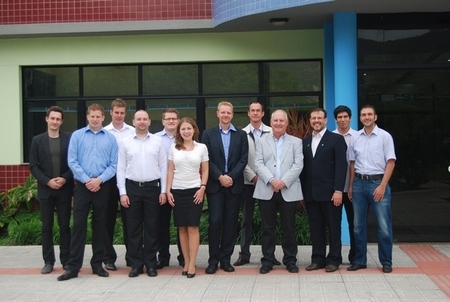 DeuBraNet 2011 was funded by the German Federal Ministry of Research of Education and Research (BMBF) in the context of the German-Brazilian Year of Science, Technology and Innovation 2010/11. It was held in Florianópolis, Brazil, from November 21st to 23rd and hosted by the Universidade Federal de Santa Catarina (UFSC).